I didn’t work today because at the morning I was at college monitoring students at exam 🙂 and when I returned I decided to purchase EvilQuest as I tried the demo I love it looks like a zelda like game with awesome boss fights so I decided I should buy and also its cheap only 2$. I played it for 1:15 hour by now 🙂 finished near half the game but what I can say about the game that its more like The Power with some RPG elements and spells and potions. So if you liked the power so you will love this game as its larger and made in top down (more action in my view). So why I am saying it looks like The Power first of all the game is divided in areas which is like the power (I know lots of games have areas) but the areas here have some similarities with the power areas (Snow Area, Caves, Sewer (looks like water levels)). 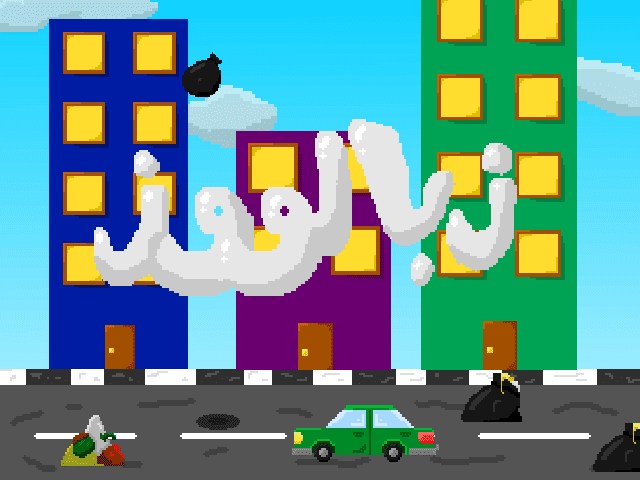 I have participated in an arabic GameJam called (GameZanga) hosted by GameTako website where the theme was Social Problems like Stealing, Marriage Difficulties, Poverty…etc. I decided to make a game about Garbage called Zebalooz its written in arabic so I will explain it here “you need to avoid garbage from falling on you or hit by car or stop from stop moving forward and your controls is the arrow or WASD and Space bar for jumping. These are all entries of the competition if anyone want to try other games from the GameJam here is the (link) but I have a request can you vote for my game as my game is down rated and the rating will affect the results of the GameJam competition. Here is the (link) again.